Despite the Breakers’ treachery, Her Majesty still stands. Queenbreakers’ Bow is an Exotic special fusion rifle. The good: The only Fusion+Sniper, tons of ammo. The bad: Mediocre final perk, shot travel time. Conclusion: Fun, best used in close-medium range, high-skill PvP players will love it. Long-range sights with slower charge time, greater damage, and ammo and charge displays. Low-zoom sights with faster charge time and ability energy display. Much like the Dreg’s Promise, Queenbreakers’ Bow defies conventional parameters when it comes to weapon variants with which we’re experienced. To that end, your experience may differ greatly. However, we’ll do our best to take an objective stance on if it’s worth using in your secondary slot, especially when compared to its competitors. The Queenbreakers’ Bow is a new type of special weapon, a sort of hybrid between a Sniper and a Fusion Rifle, though is classified as a Fusion Rifle. It has a short charge time before firing a single pulse that has the range and relative Impact of a Sniper Rifle. It also comes equipped with two scopes for adjusting on the fly to the enemies you’ll be facing. In order to be worth using over your other Snipers, the Bow has to make the case that its effectively pitiful rate of fire is not enough of a drawback to take too much away from its strengths. Destiny has a lot of fantastic Snipers, but can the Queenbreakers’ Bow hang with the best? Being 100% unique, comparing its stats to other Fusion Rifles and Snipers is not helpful, but it does help to paint a picture of where its best used. It has an Impact of 22 that sits in between Ice Breaker and Praedyth’s Revenge, which gives it enough raw damage to easily kill Tier 1 enemies such as Dregs, Vandals, Thrall, and Acolytes with a single body shot. Tier 2 Majors begin to require a few more shots to down, especially if you aren’t scoring enough headshots. Its Stability may appear poor on the surface, but in fact is quite reasonable because the Bow kicks minimally enough that you’ll have no problem getting your next shot lined up without missing a beat. As it reloads much like a Sniper, its base Reload Speed of 2.8 seconds isn’t too shabby either – and can be cut in half with Flared Magwell. When you combine this with its fantastic magazine size, and the fully absurd reserve ammunition of 55, the Queenbreakers’ Bow all but eliminates ammo concerns. For those of you who are disappointed with the low mag counts and lack of Field Scout on all new House of Wolves Snipers, this may be reason enough to choose the Bow over its alternatives. As an added bonus, while not explicitly listed, the Bow also has Critical multiplier of 4x, which is a huge incentive to get used to popping skulls. It’s just below that of Snipers, but no other Fusion Rifle has a critical multiplier! Instead of the conventional three ballistic/sight options that most weapons have, the Bow has the excellent ability to select between two versatile, permanently attached scopes. Marksman Sights, noticeably increases both the Range and the Impact, at the cost of Charge Rate. It also increases the zoom factor by 60%, which incidentally is identical to that of an Ambush Scope. Combat Sights, features low-zoom sights with a much faster Charge Rate and no bonus to Impact. The improved Charge Rate is comparable to that of the Legendary Fusion Rifle Perun’s Fire. Neither of these are “better” than the other, as both can be employed in different situations to improve your efficacy, though we recommend Combat Sights for PvP. Hip Fire is a great first perk for the Bow, granting it bonus accuracy when firing from the hip. Hip Fire allows the Bow to begin to carve out a niche for itself; you can keep your Radar up while disposing of anyone who managed to close the gap. Snipers are high-risk when enemies or opposing Guardians are likely to appear at any range, but the Queenbreakers’ Bow is far less fearful of this conundrum. Any of three perks in the pick-one row can be used to improve one aspect of the Bow. Single Point Sling gives you a mobile edge, especially when intentionally firing from the hip. Flared Magwell takes the Reload Speed to near-instantaneous levels. Finally, Send It can further push your Queenbreakers’ Bow into Sniper territory, maximizing the distance before damage begins to drop off – however, if you’re already using Marksman Sights, Send It won’t improve it further. Hidden Hand is a wild card. Because of how it functions, depending on your skill, it could be a positive or a negative. Each individual projectile actually has a short travel time that, while not noticeable in close quarters, forces you to lead your targets accordingly at range. The Bow’s projectile fires so quickly that Aim Assist should theoretically work as well as it does on normal hit-scan weapons. If you can consistently paint your targets, Hidden Hand will improve your overall accuracy at most Ranges. Arc Damage is probably close-to-tied for Solar Damage in overall usefulness. Fallen Captains will be easy prey for you, but Wizards and Cabal Majors will laugh in the face of your bolts. In Epic content, Hive Knights will be more susceptible to your fire as well. If you’re looking to use it primarily as a longer-range Sniper, you’re going to be a little bummed with the Range. Even with its highest-zoom scope, you’ll only roughly have the equivalent of an Ambush Scoped Praedyth’s Revenge. While this is more than enough for most content, you don’t have any flexibility in extending it into a serious Sniper’s wheelhouse. The Charge Rate with the Marksman Sight is also on the lower end – effectively less than even the slowest RoF among Sniper Rifles like Black Hammer. Considering its perks, although each one of them can be definitively said to improve the overall experience of using the Bow, not one among them could likely be called a “must have.” There’s no Field Scout, Firefly, or otherwise game-changing bonus that rewards those who have maxed the Queenbreakers’ Bow. Single Point Sling’s mobility bonus is hardly drastic, its reload speed is already fast enough where Flared Magwell doesn’t make a huge difference, and Send It only comes into play at ranges where the travel time of the projectile is reason enough to think twice about wasting shots. Hidden Hand is also an extremely underwhelming option for the last slot. With such a cool weapon, one might hope that the Bow would have its very own special Exotic perk. Unfortunately, all it has to work with is a little extra target acquisition. The way Aim Assist factors in can also work against a Fusion Rifle. Aim Assist grants a certain amount of “forgiveness” in terms of how generous the actual hitbox is on a foe. 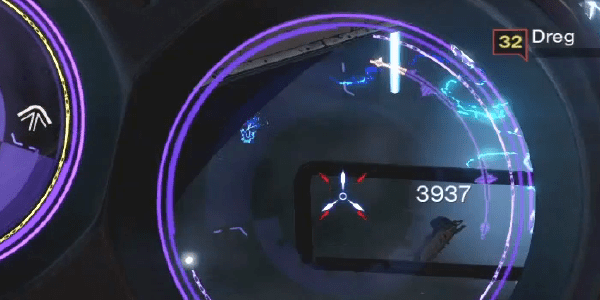 The higher the aim assist, the more your shots will pull towards the creature or Guardian you’re fighting. Unfortunately for Fusion Rifles, this doesn’t take into account the actual travel time of the projectile. If you’re intentionally leading an enemy, the last thing you want is for Aim Assist to “correct” you when you’ve lined up a shot. By the time your burst reaches them, they could easily be out of frame. Fortunately, the Bow’s single pulse travels so quickly, Hidden Hand will likely be more of a positive than a negative. The Bow can be a great choice for PvE. Its naturally high ammo count, both in the mag and in reserve, is perfectly suited to long periods of sustained combat. With its mechanism of fire and effective range, it escapes the purgatory of being a classic Fusion Rifle, providing high amounts of burst damage, and excelling at medium to medium-long range. Although proficient snipers will employ their weapon of choice at medium range with little to no difficulty, the rest of us will appreciate how easily the Bow slides into the role of an all-purpose killer. The Impact, sadly, is rather low. Even scoring critical hits, you won’t be able to match the sheer DPS of even the weakest Sniper Rifles. The only way to boost it is to use the Marksman Scope… which increases the Charge Rate. You see the dilemma: the single shot damage is never going to be strong enough, and if you try to fix it, you actually further damage the overall DPS. Although it can function well enough as a Sniper, if you find yourself using the Marksman Scope more often than the Combat Scope, you might want to try your hand with a low-zoom Sniper. If you can find one with the right scope and a mitigating ammo factor – be it Casket Mag or Field Scout – you’ll do more damage faster, hands down. Of course, a weapon’s feel is just as important to DPS. Someone who is able to get headshot after headshot with the Bow, but who can’t get a precision kill to save their life with a Sniper, is going to be more effective with the Bow. Ultimately, you’ll have to decide if the Fusion Rifle action is your speed or not. 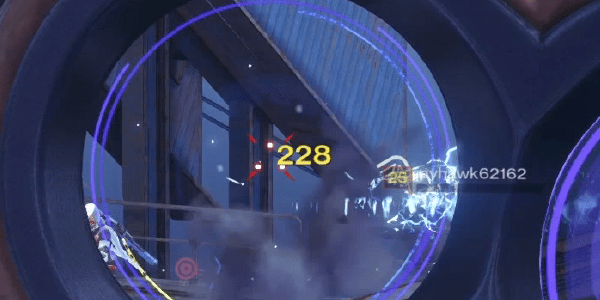 For the best results with the Queenbreakers’ Bow, we recommend going full Combat Scope. Assuming you can smartly adapt to the odd zoom factor, and are able to fire accurately uninterrupted, you’ll be able to put out enough damage to justify having it as a part of your arsenal. The reserve ammunition is truly a massive selling point; you’ll never have to worry about ammo as often as you do with even your favorite Sniper. You’ll also have unrivalled manoeuvrability compared to other Snipers, with the ability to hip fire at anyone who gets up close! The Fusion Rifle pulses from the Bow have a huge stagger rate on top of their damage, so it’s possible to chain-stagger dangerous close-quarters foes until they go down. If you’re okay forfeiting a bit of power for all of these benefits, you’ll feel right at home with the Queenbreakers’ Bow in PvE. It advertises peace of mind, and is way too much fun on top of it. You’ll have a blast with this gun Just picture the look on a Vandal’s face when you take him out with his own weapon. Much like No Land Beyond, the Queenbreakers’ Bow is a very all-or-nothing proposition. It requires either two body shots or a single headshot to kill. Even with the Combat Scope, if you can’t hit the head, it has likely the longest TTK of any Sniper Rifle except the No Land Beyond. In these instances, you might as well think of it as a Fusion Rifle. But this isn’t quite accurate either; landing a full burst of a Fusion Rifle anywhere on the body is an easy kill on anyone at close to close-medium range. This puts the Bow in a pretty unappealing position because it can only do its job well if the Guardian using it is is a deadeye. In PvE, you can still dispose of the right enemies in close range with a body shot, but this isn’t true in PvP. 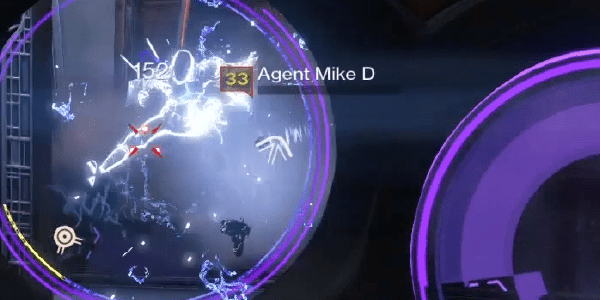 This is a huge strike against it, and nicely contrasts its PvE and PvP utility. Of course, there are some positives. 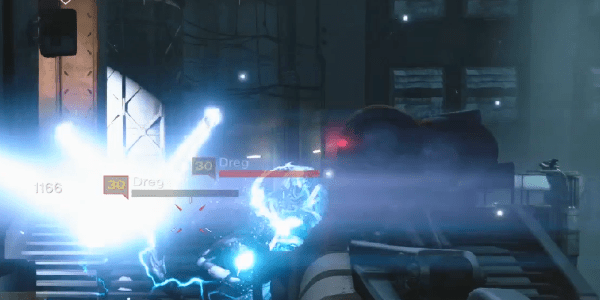 The most notable is its ammunition, which seems a direct counter to the Special Ammo nerf. If you’re concerned with finding special ammo crates to refill, you needn’t be with the Bow. As for ease-of-use, its high Aim Assist makes landing headshots much easier than a conventional Sniper Rifle. You can “spool up” the charge time just as you can a regular Fusion Rifle, and maintain non-ADS speeds during this period, pausing only to aim and release your shot. This makes Sniper duels an interesting proposition, as you can strafe that much quicker. Similarly, it’s a stellar weapon for rounding corners and finishing off weakened foe. The Combat Scope has a low enough zoom factor that you can keep the majority of the field in your sights, but accurate enough that you can cleanly snag precision kills at medium range as good or better than any conventional Sniper. The caution for using this weapon in PvP essentially boils down to this: if you can get headshots, it’s a competitive option; if you can’t, it’s downright bad. As we always mention, it also comes at the cost of any other Exotic you might want to run, so make sure you’re well-acquainted with how it handles before you make the decision to forgo your other great options. It’s arguably the coolest Sniper/Fusion Rifle out there. It shares the wilderness brown color of the other Fallen weapons like Dreg’s Promise, and would be instantly recognizable in any Guardian’s hands. The understated and sleek frame is accented with red LED light at the end of the muzzle. There’s an improvised look to the grip and paint-job that give it a personal flavor. Both the Marksman and Combat Sight are unique and don’t isolate your target at the cost of its surroundings, with a precision reticle for the former, and a stylish three-dot triangle that frames your target for the latter. The Queenbreakers’ Bow has that Exotic feel in spades. It’s an inventive and incredibly enjoyable weapon that resists being forced into a single role. It has the potency of a Sniper Rifle and the versatility of a Fusion Rifle, but admittedly doesn’t rank among the best of either. The ability to switch between Marksman and Combat scopes is neat, but Combat Scope arguably sits best with what it is designed to do. In PvE, you can make short work of plenty of weaker enemies at almost any distance by taking advantage of either scope with its high Magazine Size, Reload Speed, and hip fire accuracy. Unfortunately, you’ll be somewhat starved for immediate damage if you use it as a Sniper. In PvP, it’s a risky option. It can be a surgical killing tool in the right hands, but will be ill-suited for anyone who can’t handle the negative Fusion Rifle aspects, like its charge and projectile travel times. Above all, the Bow is a fun and occasionally powerful weapon that you can equip without worrying in almost any content. Just be sure to swap it out when you need to get something specific done fast. For PvP this weapon earns a 8/10 and for PvE a 8.2/10.